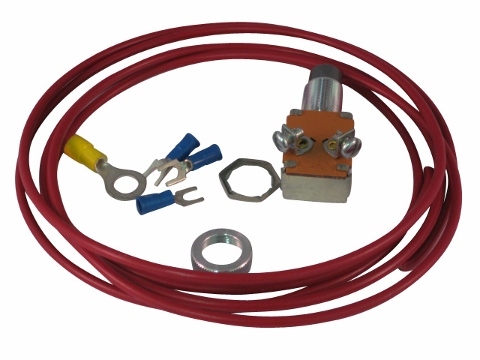 Glow Plug Pre Heat Switch STB6032, Jinma 200, Jinma 300, Jinma 400 Series Note: Most electrical components are non-refundable. Please call before ordering if you have any questions. This pre heat switch was designed to replace your old switch on your Jinma tractor. This is a push button glow plug switch. There are two different styles, please review the pictures of this switch as well as the STB6031 switch and determine which switch works best for you. This switch is universal and can be used for multiple purposes. From Steve Larson of Cotopaxi, Colorado on 9/10/2018 . Received the glow plug switch quickly. installed easily and appears to work fine. When colder weather arrives will put it to the test.